These days, Disneyland guests use smartphones to text photos and greetings to their friends and families back home. 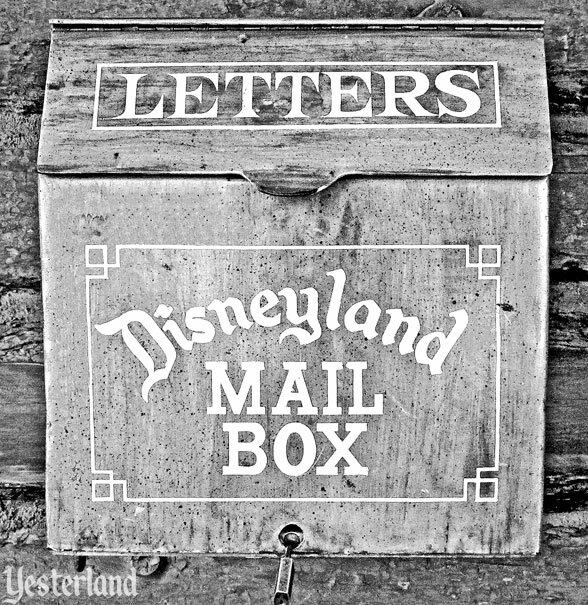 But for most of Disneyland’s existence, guests mailed postcards from the park’s mailboxes. Most mailboxes were real, but some were just for show. It was obvious which were which. 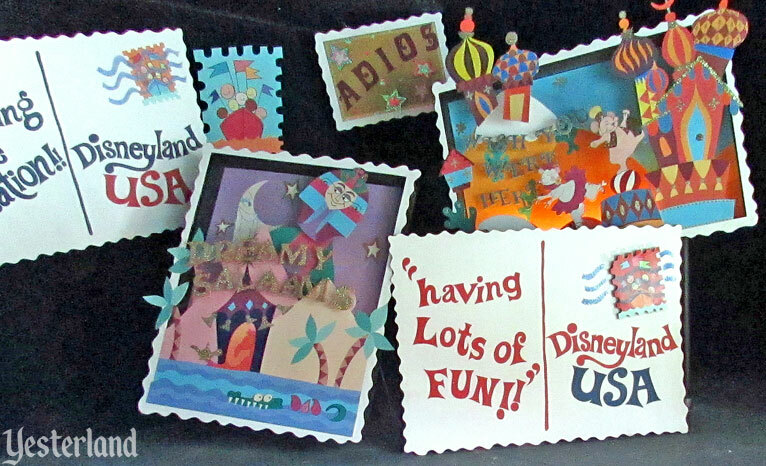 Disneyland still sells postcards in a few places, although primarily to postcard collectors and those who like things the old way. There are still mailboxes. “Mailboxes” is one of more that 600 entries in the The Disneyland Encyclopedia, 3rd Edition (reviewed at Yesterland earlier this month). The words and photos in this article are by author Chris Strodder. The two black-and-white photos are straight out of the book. 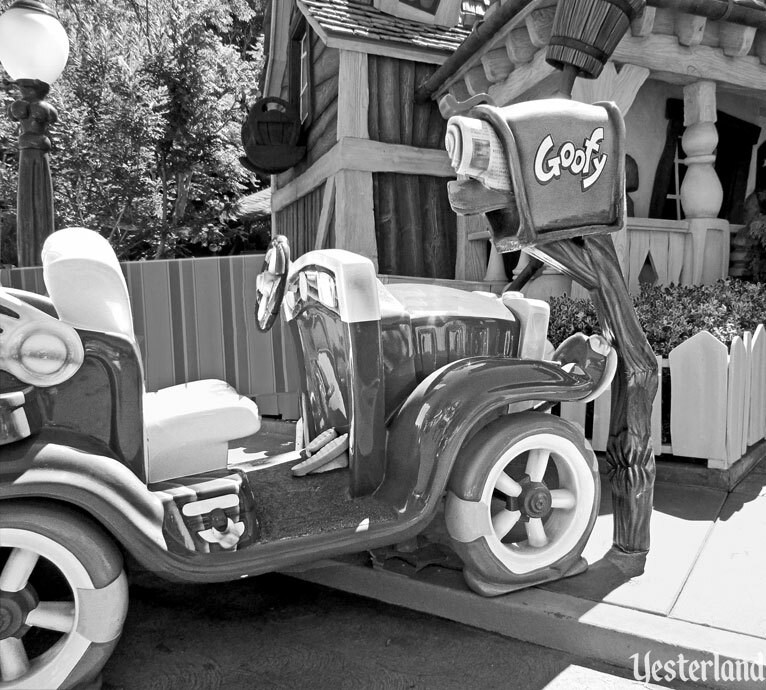 The color shots are extras for Yesterland readers. 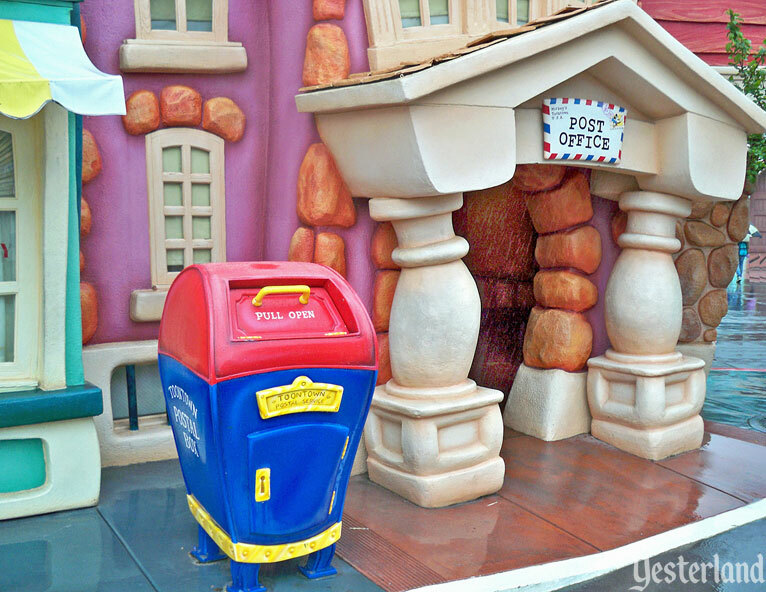 Disneyland has dozens of mailboxes, both fake and real. Among the fake ones are those in front of the Mickey’s Toontown houses owned by Mickey, Minnie, Donald, Chip ’n Dale, and, most humorously, Goofy (whose car has crashed into his mailbox pole). 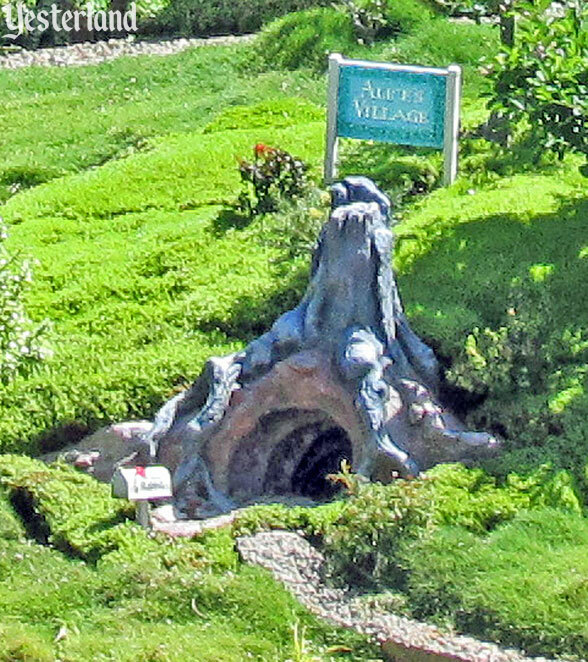 Talking mailboxes can be found near Toontown Five & Dime, several of the diminutive houses viewed by the Storybook Land Canal Boats have tiny mailboxes out front, and the old Bear Country used to have a mailbox at its entrance marked Rufus. In addition to these mailboxes that add design details, Disneyland also has about twenty actual working mailboxes on display. They’ve been in the park a long time, too—Disneyland: The Nickel Tour clearly shows a Main Street mailbox on a 1950s postcard. Today’s guests walking from the turnstiles to Town Square might notice small mailboxes at the tunnel entrances. 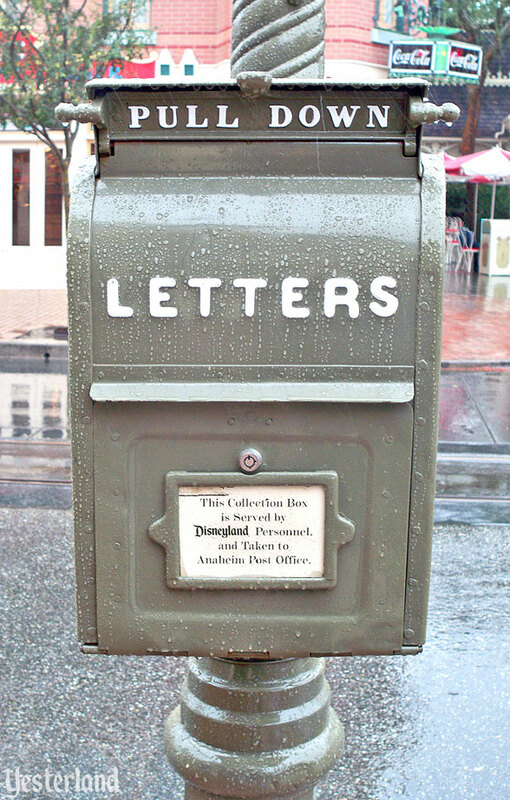 Nearby, individual mailboxes are mounted on posts in front of City Hall, along Main Street, and at the Hub. 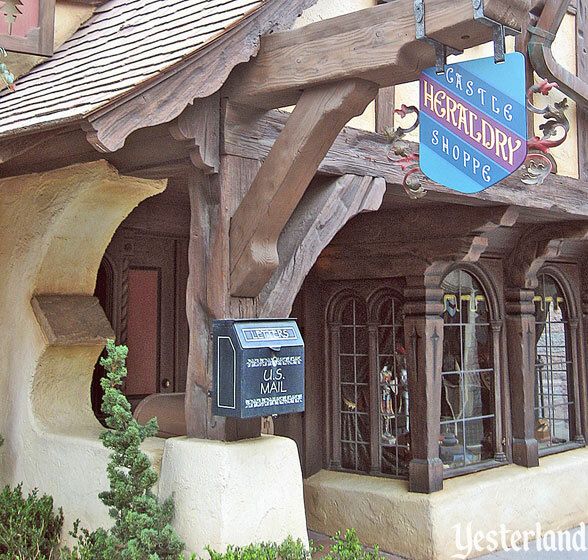 Other locations include the Adventureland Bazaar, Autopia, Briar Patch, Castle Heraldry Shoppe, Frontierland Shooting Exposition, Pioneer Mercantile, Pooh Corner, and Silver Spur Supplies. 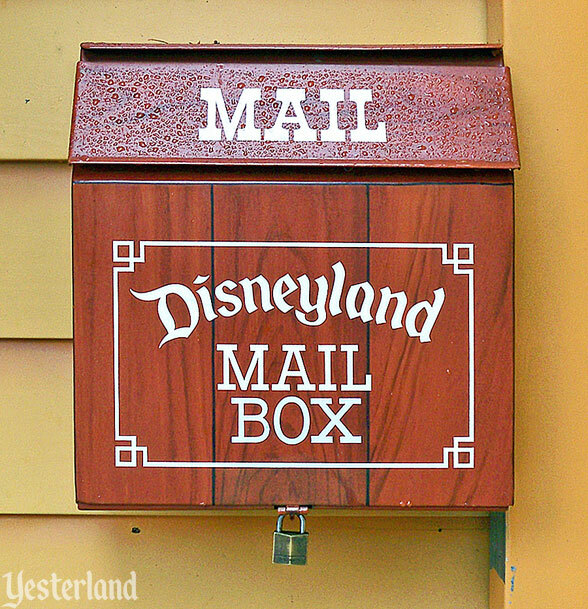 As with the park’s trash cans, the mailboxes are often designed to match the themes of their specific locations—for instance, the one at the Briar Patch (shown) has a rustic design appropriate for Critter Country. Some of the boxes are oriented vertically, others horizontally; some have lids that lift up, others that pull down. All of them, however, have their mail collected the same way, as noted on some of the boxes themselves: “This Collection Box is Served by Disneyland Personnel, and Taken to Anaheim Post Office.” Disneyland itself doesn’t stamp or postmark the mail, though an official “Disneyland U.S. Post Office” mailing items with an official “Disneyland, California” postmark was mentioned in the 1953 prospectus that pitched the park to potential investors. 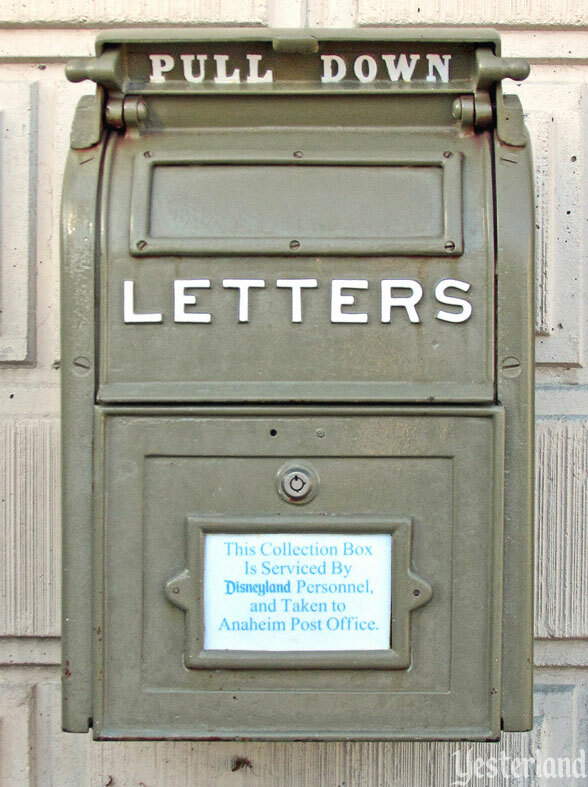 Disneyland’s old-fashioned mailboxes are a nice, nostalgic touch, especially since another traditional communication method—the pay phone—no longer exists in the park. Thanks to the proliferation of cell phones, pay phones at Disneyland became superfluous; the last one was removed in 2015. Enriching this unique A-to-Z chronicle are profiles of the personalities who imagined and engineered the kingdom known as “The Happiest Place on Earth.” Discover unbuilt concepts, including Liberty Street, Rock Candy Mountain, and Chinatown, and delight in fascinating trivia about long-lost Disneyland features, from the real rifles in the shooting gallery that used to be located on Main Street to the jet-packed Rocket Man who flew above Tomorrowland. The brand new “Mouscellany” feature adds extra fun facts, hidden secrets, and odd trivia to the third edition. Overflowing with meticulously researched details and written in a spirited, accessible style, The Disneyland Encyclopedia is a comprehensive and entertaining exploration of the most-influential, most-renovated, and most-loved theme park in the world! The Disneyland Encyclopedia, Updated 3rd Edition, by Chris Strodder is available from Amazon and other booksellers. Also consider The Disneyland Book of Lists by Chris Strodder. The Yesterland review of it is here.